I'm hearing a lot of fluff that Star Citizen is gonna be the game that puts graphics cards behind the time like crisis 3 did back in the day. I would like to get in front of all that nonsense. Should I go for the aesthetic custom water cooled single 780 classy or just drop about the same amount on another 780 classy and SLI them? I like the idea of two Classifieds together. Star Citizen looks awesome too. I do too and I've seen It on PCPartpicker.com It's a sight to be seen. I might have to get a new case for it though? I guess it's just a personal preference. For a case, I like the Corsair Air-540, but as you said, it goes to preference. then how about divergance or repopulation? Last edited by calemus; 17-04-2014 at 14:11. I have the Corsair 650d now and I am loving the air 540 white at the moment. so much room to upgrade in the 540 air. This is how my Air 540 currently sits. I love the case and wish they had white when I was buying this one. Star citizen looks pretty nice. I doubt it put GPUs behind the time as claimed. There are too many strong GPUs out for that to happen. What happened with Crysis 1 was all about timing. The game looks but I think I have enough GPU power handle it maxed out. 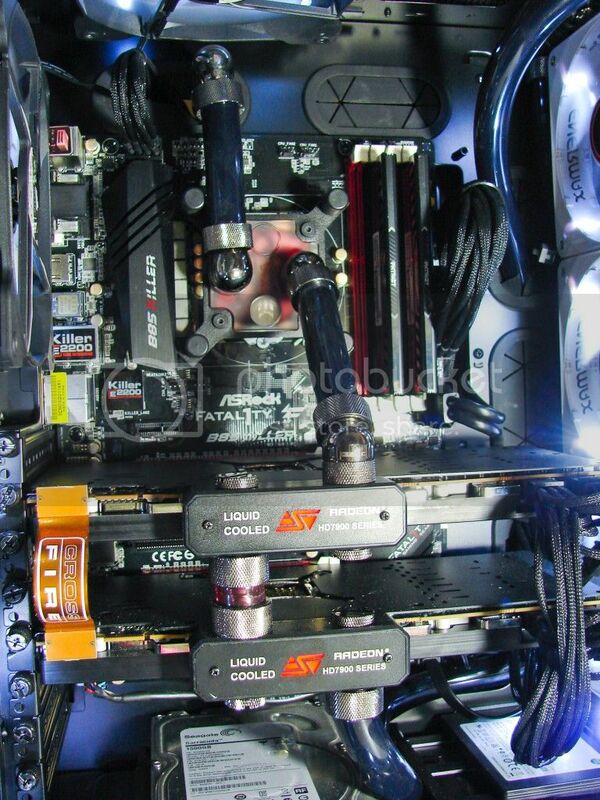 The Air 540 is only 1 of my systems. Oh divergance looks cool but a major pain in the arse or repopulation does look interesting to me at all. I guess genre is the new thing. There is like 5 games coming out that deal with repopulating and building civilizations war ect ect. I am not sure if I can get into a game that is so infinite. I usually lose interest after awhile. I like Shooters,..........Shooting,.............and Shooting more.